"Musical genre has never been important to me," says singer/songwriter A.J. Croce. "What matters is the songwriting and the quality of the music." Croce's five albums back up his words by defying easy categorization. Sure, you can pinpoint some of the jazz, blues, and R&B influences of his early disc, or the British-pop jumping-off points of his more recent recordings. But the true unifying features are A.J. 's skilled songcraft, soulful vocals, and deft piano work. I've played all sorts of venues with the P90, from tiny little clubs to beautiful theaters, and it's been successful everywhere. It's no surprise to learn that Croce, 30, has broad musical tastes, but it's hard not to be impressed by the scope of his musical knowledge. For example, while commenting about how piano styles changed throughout the 20th century, A.J. turns to the keyboard and improvises a quick theme and variations, playing a single chord progression as a florid ragtime piece, a Prohibition-era Charleston, an ambling swing tune, a linear bop excursion, and finally the simple block chords of contemporary pop. "There are few parts of American music that haven't influenced me at one time or another," says Croce. "Fats Waller, James P. Johnson, Ray Charles, Mose Allison, the Band, Woody Guthrie, Hank Williams, Memphis Slim, Tom Waits. I just like music in general." Croce is the son of singer/songwriter Jim Croce, who died in a plane crash when A.J. was still a toddler. Raised in San Diego by his mother, Croce began gigging while still an adolescent. By age 19, he was tracking his first album with famed producer T-Bone Burnett and some of the world's greatest session players. But these days Croce runs his own show. He co-produced his latest CD, Adrian James Croce, and issued the disc on his own Eleven Thirty label. "Sometimes it's hard doing the business and the music myself," he admits, "but mostly I have a great sense of freedom that I never felt when I was on a major label. Now I don't have an A&R team from the label saying, 'We really need a hit that sounds like such-and-such.' It felt so natural making this record. It was the best time I've ever had in the studio." Simplicity is not a new value for Croce, who recorded several of his albums live, with no overdubs whatsoever. But on Adrian James Croce he exerted extra care to keep the music as uncluttered as possible. "My goal was to focus on the songs. I wanted to make sure the record wasn't over-produced, so I tried to create the most stripped-down arrangements that still let each song accomplish what it needed to. I didn't want the music to be too slick. I've always believed that small mistakes and imperfections in music are human. I don't necessarily accentuate them, but I like having them there." 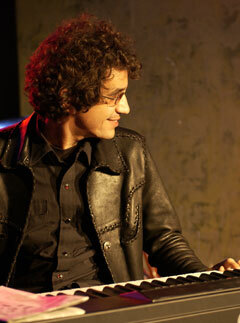 Croce also credits the guitar with helping him keep things simple. "I usually write at the piano," he says. "But when I do write on guitar, I'm more limited as a player. I don't have as many options in terms of passing chords and so forth. That forced simplification sometimes helps me focus on the lyrics and the song, as opposed to showing off on the keyboard, which I have a tendency to do." 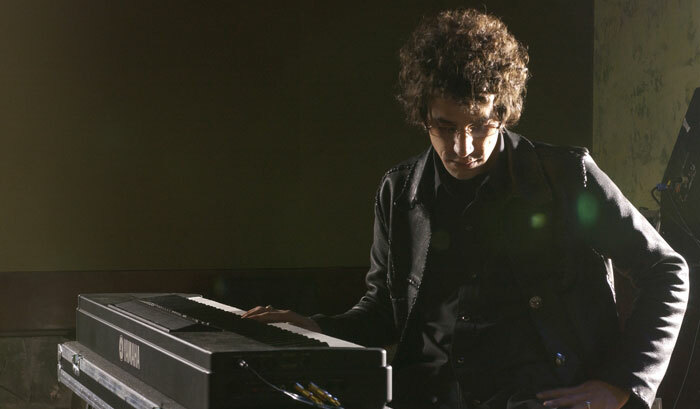 Still, Croce calls himself "a pianist first and foremost." And since his tastes in piano tone are rather purist, he has struggled with getting great piano sounds live. "At first I would only accept a gig if I could play a grand piano," he says. "If they didn't have one, I'd bring one. When I got to the point where I couldn't stand to bring a seven-foot grand with me, I used a Yamaha CP70 electric grand. It's a great instrument with phenomenal action, but it still weighs almost as much as a spinet. Next I had a big workstation, but it still weighed 85 pounds, and it's getting harder to fly with something that heavy." Then a music dealer hipped him to the Yamaha P90 digital piano. "I was very impressed," says A.J. "So now when I play live, I just take the stereo line out of the P90, and it sounds great. The grand piano setting, which is usually the only one I use, is perfect. I generally use the hall reverb and set the action set to 'soft'-that works best for me, since I grew up playing real pianos and hit the keys pretty hard. The other thing about the P90 that really works for me is the bright/mellow tone control. Depending on the environment you're playing in, it can have a very noticeable effect. I've played all sorts of venues with the P90, from tiny little clubs to beautiful theaters, and it's been successful everywhere. I've been very pleased."